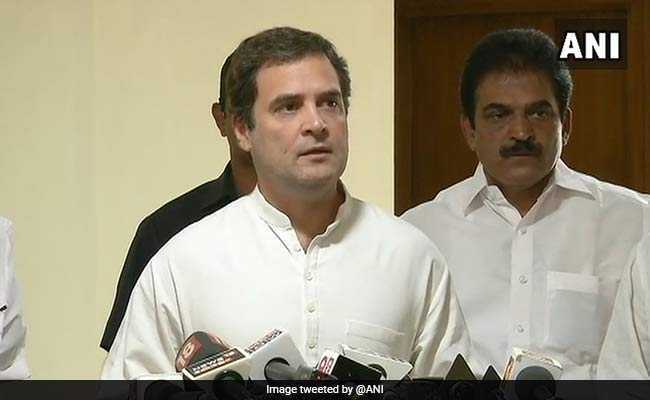 Rahul Gandhi arrives in Delhi this evening after a two-day visit to Kerala to take stock of the rehabilitation efforts in the state. Rahul Gandhi will go on a pilgrimage to Kailash Mansarovar on August 31. The Congress president had announced earlier that he would take the trip after the Karnataka election. He will reportedly travel to Kailash-Mansarovar through the China route, not Nepal. In April, while campaigning for the Karnataka polls, the 47-year-old had said he decided to go to Kailash Mansarovar after a close shave; the aircraft in which he was travelling from Delhi to Karnataka developed a technical snag midair and plunged several feet. The promised pilgrimage could not take place until now because of the Congress chief's packed schedule, said leaders. Last week, he visited Germany and London. Mr Gandhi, who calls himself a "Shiva devotee", wanted to take the Kailash-Mansarovar journey before a series of state elections and the 2019 national polls, said his party. After returning from Kailash-Mansarovar, he is expected to head to Madhya Pradesh to launch the Congress campaign for polls in the state due later this year. Mr Gandhi's temple visits while campaigning in Gujarat and Karnataka provoked BJP allegations of "soft Hindutva". The annual Kailash pilgrimage, which draws thousands each year, will end on September 8.